Meek Mill made a huge comeback with his latest album Championships which many believe is one of the best projects of 2018. 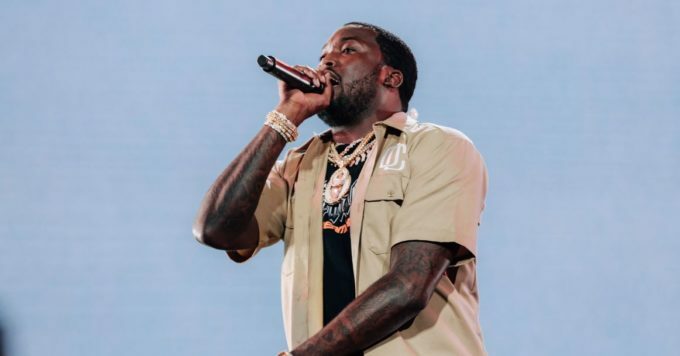 Meek has been busy with multiple things since his prison release, including launching a prison reform organization called REFORM along with Jay-Z and others. But on Saturday night, he got the opportunity to perform on Saturday Night Live where he hit the stage rocking the new sneaker collaboration with Puma. The Philly rapper first kicked off his performance with the Drake featured single ‘Going Bad’ and then followed it up with ‘Uptown Vibes’ where Fabolous joined him on stage. After a few skits in between, Meek later came back and performed the ‘Championships’ intro for the audience.